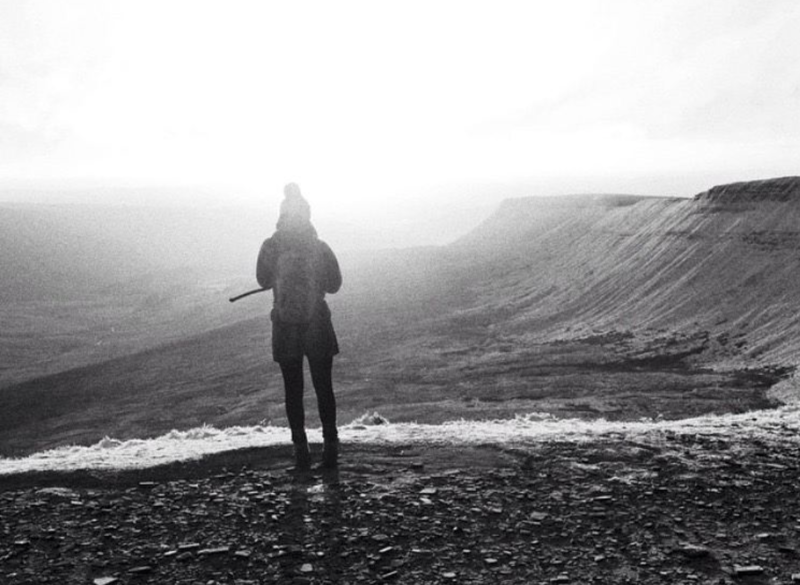 As I’ve mentioned a few times on my blog, I grew up with Pen Y Fan on my doorstep. 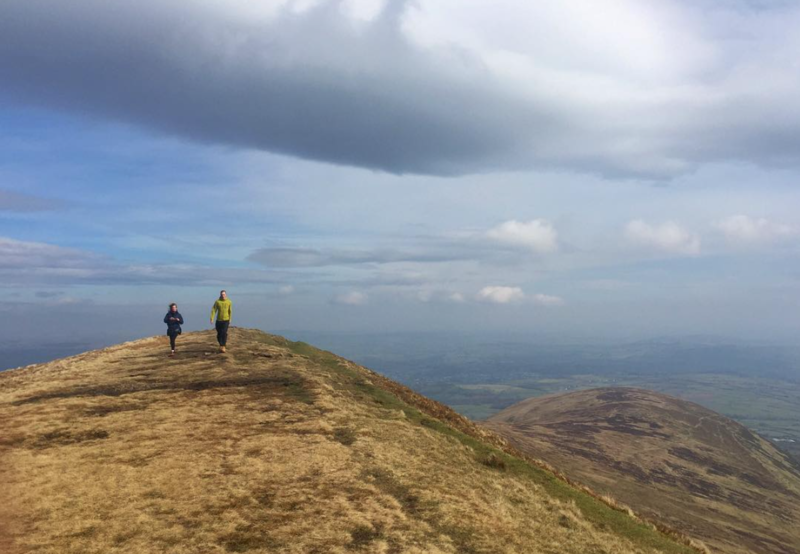 It’s the highest peak in South Wales at 886m and one of the most accessible mountains in the UK which is probably why it’s such a popular walk. Having tackled it from just about every route I thought I would round them up for you. Descending Corn Du in my May 2016 article in Trail Magazine. 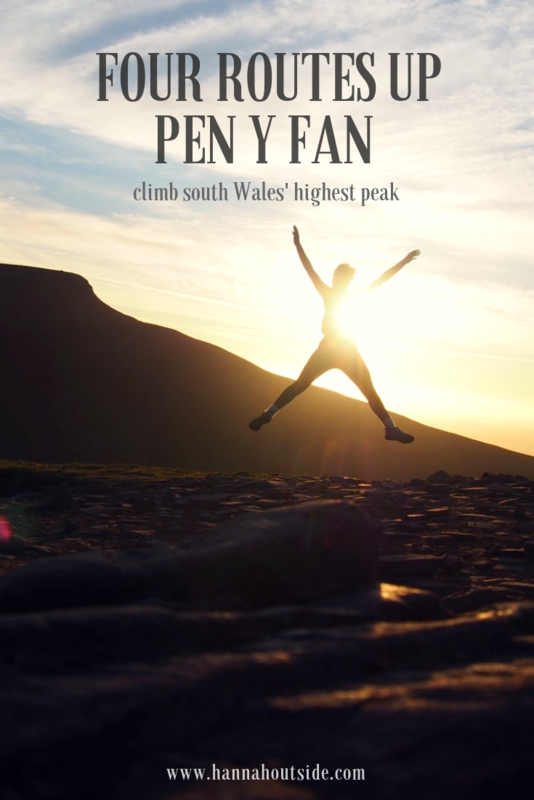 This is one of the most accessible routes to the summit of Pen Y Fan and so do expect it to be very busy, especially on weekends or sunny days. Starting at Pont Yr Daf, this route is one of the most popular up Pen Y Fan as the paths are clear and it’s a shorter route. The car parks get very busy so if you’re planning to do this route it’s a good idea to get there early or go up for the evening, especially on a good day. Park up then follow head to the end of the carpark, head through the gate and over the bridge. There’s only one route and it’s a clear path. It’s a steady climb up until you reach Bwlch Duwynt – keep going though as the view when you reach this point is 100% worth it. The landscape opens out with Corn Du, Pen Y Fan and Cribyn to your left and Graig Fan Ddu on the right (incidentally another great route, described below). 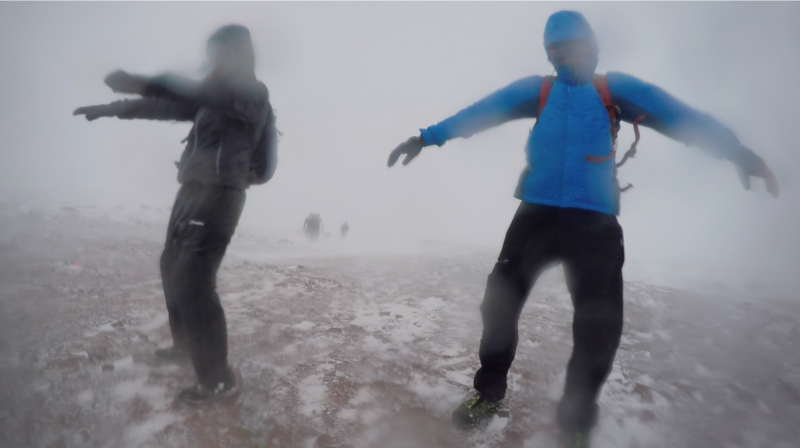 You have two options from here – go up Corn Du (873m), which is a short scramble up onto the summit, or you can take the path to the right of the summit, which is a path cutting around to Pen Y Fan. It’s a level path before a gentle slope up to the flat plateau summit of Pen Y Fan. You can return by the same path or the path below. We use this route for catching the sunrise when we go home as it’s quick and easy compared to the other routes. This is one of the most popular routes up and so is almost as busy as the above route. The second path goes from the Storey Arms and is only a slightly quieter path. 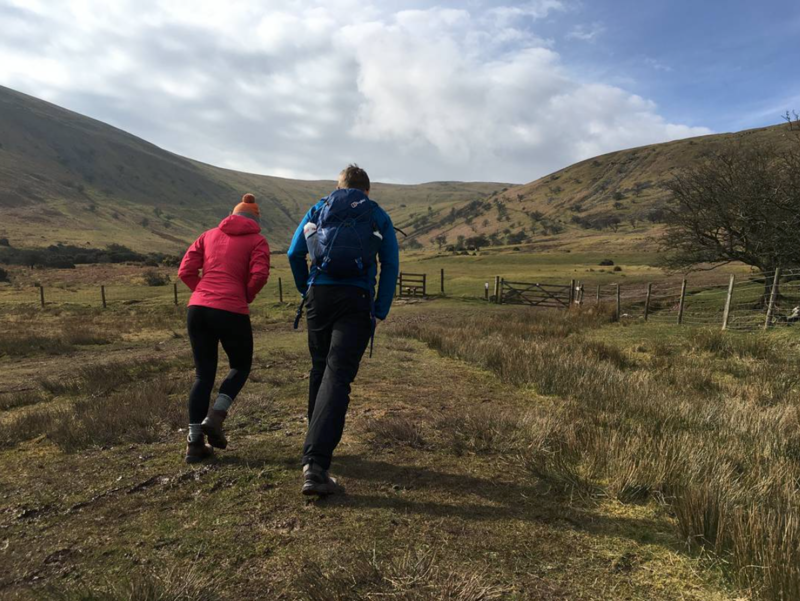 Take this route to enjoy a longer undulating walk rather than a straight climb, but equally clearly marked until you get below Corn Du summit. You have two choices, continue straight and up onto Corn Du summit or take the path to the right, cut under Corn Du and join the path from Pont Yr Daf just below Bwlch Duwynt. To park you use the car park at Pont Yr Daf but follow the footpath back along the A470, towards Storey Arms (opposite to the above path). As I mentioned previously this carpark can get very busy but if you opt to park on the roadside, ensure that all wheels are off the road or you will 100% have a parking ticket. 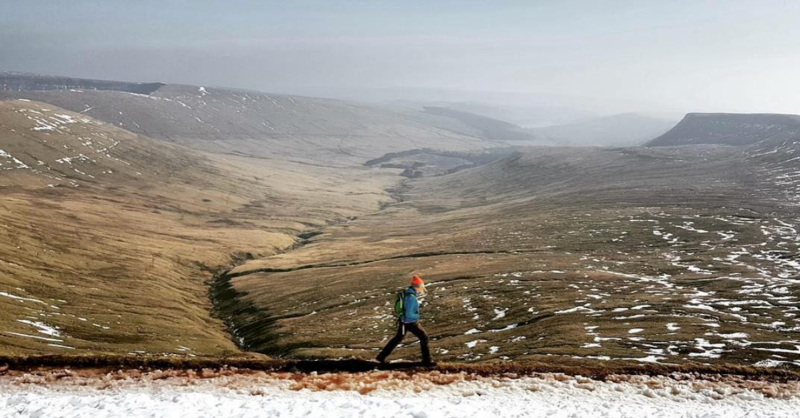 This route is one of my favourites – the view as you approach Pen Y Fan is phenomenal, as well as back over Brecon and the Black Mountains. Approaching from Brecon, along the Ffrwdgrech Road you take the left fork and will come to a carpark. There’a a pay and display carpark but if you drive on past there’s a smaller area which can fit approx 8 cars. Although it’s initially a pretty hefty climb on fresh legs between Twyn Cil-rhew and Allt Ddu to start but soon levels off until you reach Cefn Cwm Llwch. The middle part of this walk is gentle and the ridge is just wonderful. There’s no exposure but it feels like you’re on top of the world as you walk along the ridge back and seeing the Bryn Teg ridge running parallel to the left. 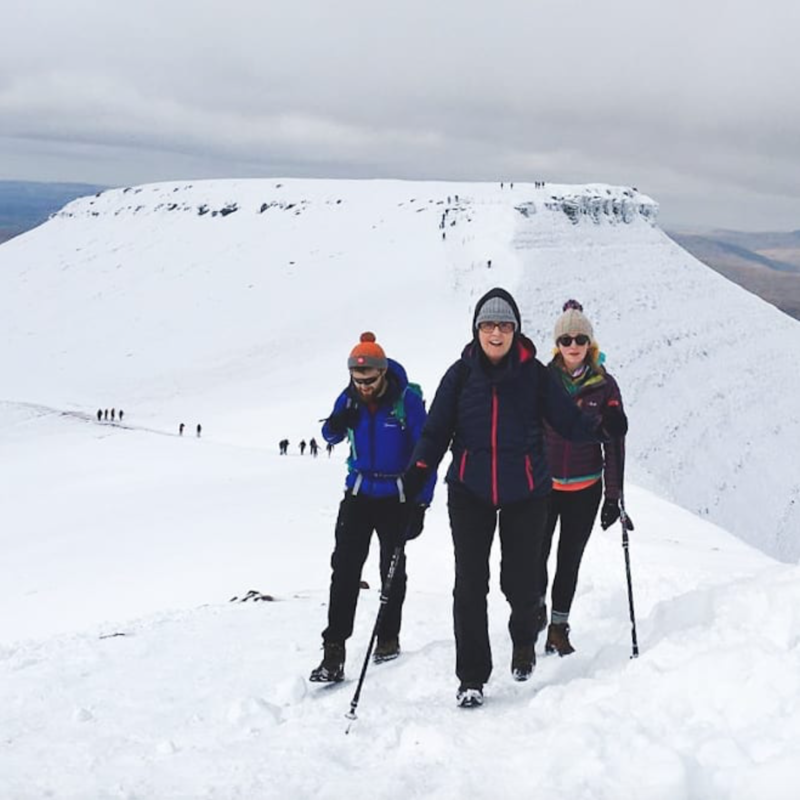 The haul up onto the summit is definitely a leg burner and probably not one that you want to do in icy conditions, especially as it can be loose under foot. 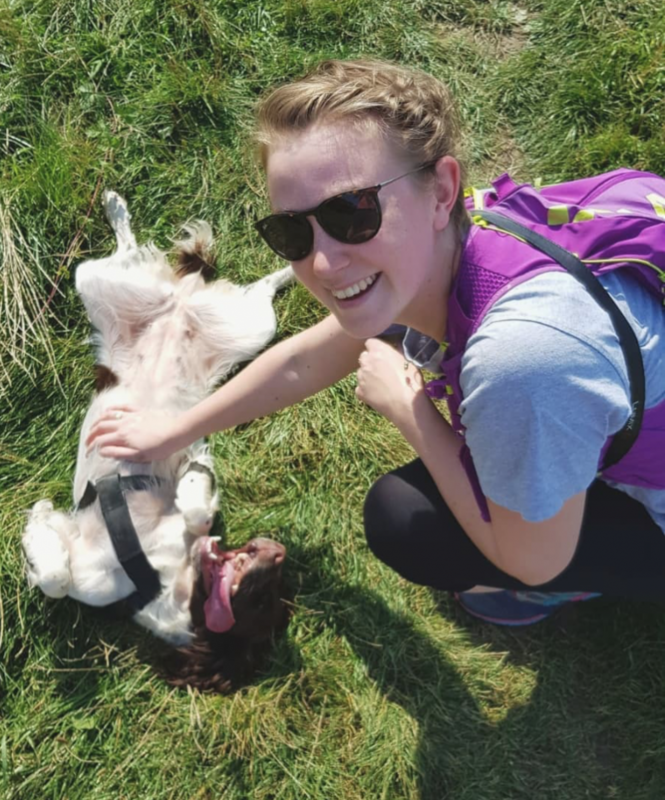 This route is wonderfully varied and it’s a great feeling to be able to track your whole route as you go around, point and think – wow – I was over there not long ago! Approaching from Tan-Y-Bont rather than Brecon, the car park to get to the start of this walk is much more remote, meaning straight away that this is a quieter route. It’s wonderful easy walking starting on the Taff Trail before turning into a rocky track. 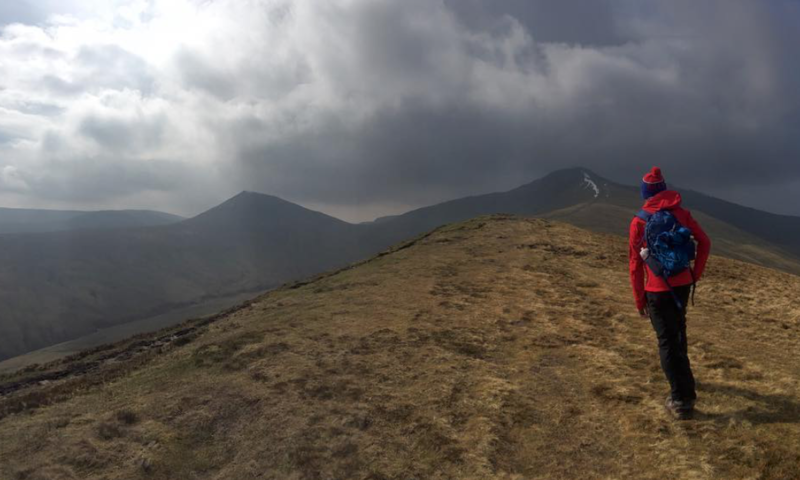 Once you get to the foot of Cribyn, you can either climb it for an extra summit or you can use the cut around the base of it, which takes you to the foot of Craig Cwm Sere – the climb up to Pen-Y-Fan. I won’t lie, it’s a hefty climb and particularly brutal when raced up it on the Fan Dance but once you’ve made the ascent then that’s pretty much it – climbing done. 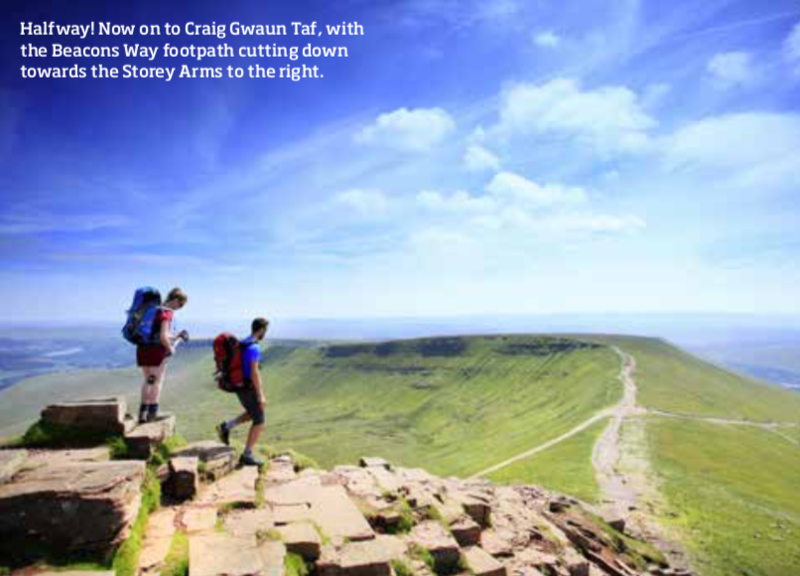 Enjoy the views over south Wales, snap your photo with the Pen-Y-Fan plaque, then head on to Corn Du. As mentioned above, you can skip Corn Du summit, if you wish and take the cut around along the left hand side of the peak. Once you’ve got past Corn Du and come to the col, Bwlch Duwynt, carry straight on rather than drop down to the right like in the above ‘the easy one’ route. You’ll now be walking along the ridge you can see stretching out before you and in the distance to your left. The walking is easy underfoot and you just keep following the path over Craig Gwaun Taf, Rhiw yr Ysgyfarnog and Graig Fan Ddu. One you pass the cairn after Graig Fan Ddu look out for the steep scramble path down towards the lower restaurant you can see below. Once you’re down, cross the bridge and you’re back on the path you’ve walked in on.